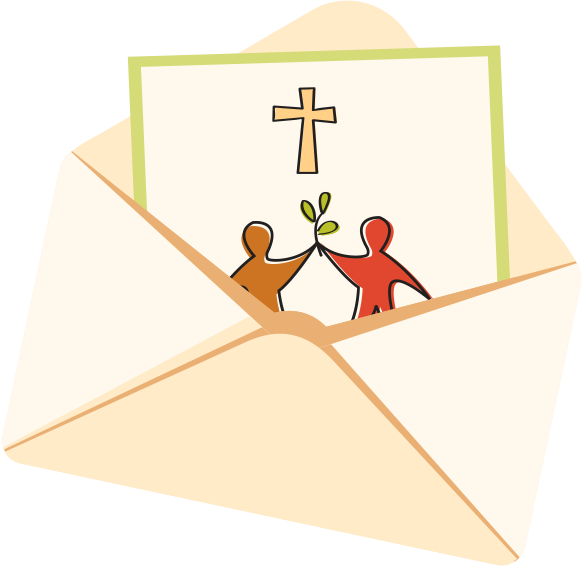 Friends of Chimbote is a catalyst for new beginnings. There’s nothing we love more than sharing photos and stories of transformations. Our latest beautiful new beginning story is that of Elsa Luz Chavez Sifuentes. Born in 1974, Elsa grew up near Our Lady of Perpetual Help parish. She came from a very poor family; her parents worked in construction and the fish factory whenever there was work available. In spite of their difficult financial situation, her parents made sure she attended school. Before she could finish high school, Elsa was forced to quit school and begin working to help feed the family. She married at 20 years of age and is the proud mother of four children. Her husband, a carpenter, struggled to find steady work and she became increasingly frustrated that her children would be unable to get an education. Elsa attended Mass every Sunday. One Sunday, they announced that ACAF’s sewing classes were being offered to the women of the church. Although there were doubts after being out of school for 25 years, a visit from Udy (an ACAF social worker) convinced her to give it a try. 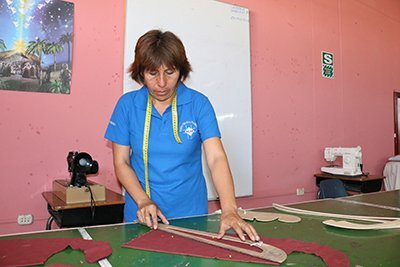 At 41 years old, ACAF awarded Elsa a scholarship to enroll in the two-year sewing program. “That day something changed in me; I felt that I could do something for myself to change my own situation,” she remembers. 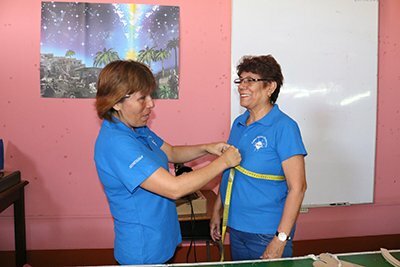 Today, Elsa is earning income sewing custom dresses, uniforms and other clothing for adults and children. She contributes to her household and is ensuring that her children can get an education and don’t have to quit school like she did as a child. She is grateful to ACAF for helping her develop this skill and giving her the opportunity to provide for her family. Her dream is to one day own a boutique where she sells clothes she designs and sews herself. What a beautiful new beginning for Elsa and her family. If you would like to help us make more new beginnings possible for people like Elsa, please take the opportunity to Donate Now. Thank you for helping us continue to plant the seeds of hope and transform lives among the poorest of the poor in Chimbote.